You consistently spend a lot of time questioning your competence. It is normal and healthy to have a dose of “humble pie” every once in a while and seek guidance from mentors. If you find yourself spending a lot of time second guessing every decision you make, second guessing or down playing accomplishments and turning down opportunities that could open more doors for your success; you may fear success. Self-sabotage: Creating excuses why we didn’t get something done, telling ourselves mediocre is good enough or believing that huge goal we set is just too big. Change: “Change or get left behind.” Change is a messy process and you WILL experience this process if you choose to pursue success. Most of us fear the unknown on the other side of change. Keeping this in mind, there is a huge investment in remaining the same or “being left behind.” Will I be okay with who I become as a result of my success? Some fear they will become a “mean spirited” person, develop addictive qualities or lose the qualities that make them unique. Are you afraid of whom you will become or the results you will achieve (or not achieve)? Procrastination: Procrastination is a symptom of fear. The only way to overcome this is to feel the fear and do it anyway. Avoidance: You spend more time talking about your projects than you do completing them. It’s too hard! Remember if it were easy, everyone would be doing it. Your journey to success will be filled with tests. Without these tests there are no testimonies. Your journey can and will help someone else. Why are you standing in your way? Past learning experiences often influence our behaviors in the present. What past experiences are holding you back from success? What do you need to let go of? What have others said to you to discourage you from moving forward? What does success look like to you? Success is a subjective experience. Get clear on your goals and define why you are doing this? Do you want to help other people? Do you want financial freedom? Begin by identifying a small success. It could be something as simple as making it through the day without second guessing yourself or completing a task. Stacking small successes will lead to the big successes. You’ve achieved success, what’s next? You fought through your fears and achieved success. Visualize this scene. Are you happy? Will you celebrate? Do you feel accomplished? Will you set more goals? Success is not an accident, it’s a choice. You will be successful, when you make the decision to get out of your own way and be successful! I want to hear from you. Have you ever self-sabotaged your success? How did you get out of your own way in order to be successful? 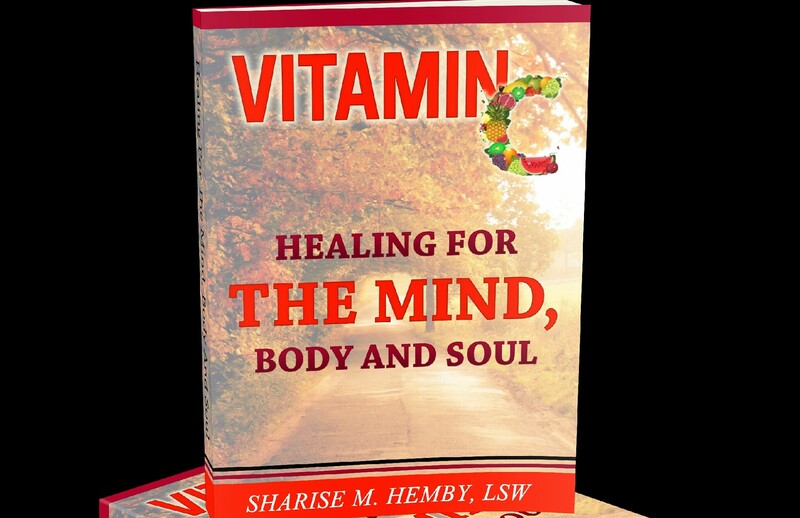 Sharise Hemby-Nance is a licensed therapist and award winning author with 15 years of experience in individual life coaching and counseling. For more information or assistance with adjustment and life transitions, please contact me at vitaminchealing@gmail.com. Relationship 201: What Constitutes a True Partnership? Most of us long to be in a happy and healthy relationship. Songs are created about finding and sustaining love. In addition; a day has been dedicated to couples celebrating romance and love. Dating is fun. Falling in love, while scary, is also fun. The “honeymoon phase” of a relationship is fun and blissful. On the other side of this fun are challenges. All relationships experience the normal ups and downs and ebbs and flows. Through my observations, experiences and interviewing; I have learned that being a good partner sustains a relationship. Give 100%: I often hear people say “a relationship is 50-50.” 50-50 equates to each person giving half the effort. Can a relationship be successful with each person only giving 50% of their efforts? Is the person you claim to love worth half of your efforts? True partnership is giving your all with no reservations. Selflessness: The ability to place your partner’s needs before your own. You replace the “I” for the “we.” When making decisions you are factoring how your decisions will impact your significant other. It is not just about you, it’s about team US. Don’t hold grudges: Disagreements and even arguments will occur in relationships. Use the disagreements as an opportunity to gain a better understanding of your partner. Continue to communicate about the disagreement with each other. Forgive and move on. Holding grudges with your partner weakens the relationship. You play for the same team: When your teammate is having a bad day, offer support, encouragement or give him/her the space needed to recuperate. A good partner does not down talk their mate to others. A good partner speaks life and has the uncomfortable, but necessary conversations with their mate. Now it’s time to hear from you! What makes you a good partner? What do you think it takes to sustain a relationship? When asked the best way to live, answers will vary. Doing what you want, when you want and with whom you want, happiness, health, peace, stress free, debt free and the most popular answer is usually living in balance. Most of us seek work-life balance. We want to dedicate the time and energy needed to our careers while having the time and energy to devote to our personal lives. Experience has taught me that while balance is important, satisfaction is just as important if not more important. What good is balance if you are not satisfied in your professional and/or personal life? How can you keep the 2 separate when one influences the other? Dissatisfaction in the work life leads to dissatisfaction in the personal life. The “unsatisfied” employee goes home and takes negative energy into his personal life. The “satisfied” employee may be willing to work longer hours and is more likely to take positive energy into his or her personal life as a result of this satisfaction. Our personal and professional lives complement each other. When we are satisfied in both our professional and personal lives; balance becomes more of an organic process. You may be wondering; “How can I live a more satisfying life?” If you find yourself caught in the matrix of existing in the same daily routine; you may be wondering if it is possible to live a more satisfying life. It is possible if you are willing to take the time to examine your value structure. What influences your decision making? What guide do you use when making those tough decisions? When ethical dilemmas arise, what guides you in making the best decision in a given situation? When thinking of principles to living a more satisfying life; again we must examine our values, morals and beliefs. Upon examining our values, morals and beliefs, you must be courageous enough to hold true to these when making decisions, especially life changing decisions. Following this process will allow you to develop principles to live a more satisfying life. In doing the work; I have developed 3 principles to living a more satisfying life. Be the best version of you: You are either making decisions to become a better version of you or a lesser version of you. Does your current job allow you to be the best version of you? Do your intimate relationships or friendships allow you to be the best version of you? If the answer to any of these questions is no, reflect on the reasons you cannot be the best version of you in this situations. Will you have the courage to say yes to the things that make you a better you and no to the things that don’t? Discipline: When I think of discipline, one of my late grandfather’s favorite sayings comes to mind “A fool and his money will soon depart.” This saying applies to so many facets of our lives-finances, health, career, family. Most of us can obtain almost anything we put our minds to, but very few have the discipline to sustain certain lifestyles. The most successful people have mastered the challenge of choosing between what they want now and what they want most. The key to discipline is winning the daily battle with yourself. Will you live with the pain of discipline or the pain of regret? Integrity: “Doing the right thing when no one is watching” is a saying that comes to mind when thinking of integrity. Integrity is choosing between what’s convenient and what’s right. Integrity is choosing your thoughts and actions based on values rather than personal gains. When making tough decisions, are you able to have peace of mind knowing you did the right thing? Oftentimes making the right choice will not be the popular choice. Success without integrity is failure. Now it’s time to hear from you. What principle(s) guide you in living a satisfying life? Those of us raised in African American families are well aware of the dietary concerns in our community. For these reasons, we find ourselves eating cleaner in the 21st century. The importance of this article is to reinforce awareness of an ongoing problem of high blood pressure and diabetes especially in the African American community. Do you find yourself in search of the latest diet every few months? Are you consistently looking for a detox after another weekend of bad eating? Maybe you feel guilty because you were sticking to your diet and over-indulged on Thanksgiving! You are not alone! Recent studies have shown that 54 percent of Americans are currently trying to shed pounds. Most people have tried everything; including detoxes, supplements, diets and packaged foods guaranteeing weight loss. Are you ready to say goodbye to yo-yo dieting and hello to lasting results? Before we go any further, allow me to elaborate on yo-yo dieting. Yo-Yo dieting is the cyclical loss and gain of weight resembling the up and down motion of a yo-yo. In this process, the dieter is initially successful in the pursuit of weight loss but is unsuccessful in maintaining the loss long-term and begins to re-gain the weight. One seeks to lose the regained weight and the cycle begins again. Tired of watching your weight go up and down…and up again? Check out these tips for maintaining your waistline! Define your “WHY”: Most people begin their weight loss journey because they want to look good (on vacation, on the beach, in an outfit, for a major event). These are great external motivators. What happens once vacation ends or the special occasion you targeted as your reason for losing weight comes and goes? Having trouble searching for your reason “Why?” What will inspire you to make maintaining your weight a lifestyle and not just a trend or a hobby? Do you want to be around for your children? Do you want to be the example for your family? Do you want to prevent health related medical conditions? Your “why” will carry you through those moments when you feel like quitting. Find a Healthy Outlet: This will require being proactive. Create a list of 5-10 activities you can engage in during times of distress. When you feel overwhelmed, instead of grabbing that bag of chips or box of cookies go to your list and choose something you can do for the next 10 minutes to allow your stress levels to subside. This can include taking a walk, writing a letter, listening to your favorite song or reading an article. Balance: The holiday season is upon us and a common theme in most, if not all families include food. Food should not be your enemy. You can and should enjoy yourself at holiday parties without feeling guilty for having a slice of your favorite pie. However, this will require some planning on your part. If you plan to attend two holiday parties during the course of a week, be mindful of your eating throughout the week so that you do not have to feel guilty or suffer at those holiday parties. A big part of practicing balance with healthy eating habits includes making good food choices through meal planning. Have a Plan: If you fail to plan, you plan to fail. The holiday season is also a busy time for many people. The shopping, cleaning, cooking, entertaining family while fun; can also become overwhelming. Plan your meals for the week. Spending a couple extra hours at the beginning of the week meal planning and organizing is imperative in maintaining a healthy lifestyle. Unforeseen circumstances will take place throughout the course of the week and if you are prepared with good food choices, you reduce your chances in making bad food choices. For assistance with meal planning click here. Dieting is temporary; lasting weight loss requires making lifestyle changes that will work long term. The journey is in fact just that; not a stroll in the park, not a hike in the woods, but a journey. You do not have to go through this journey alone. You can contact me at vitaminchealing@gmail.com for assistance with health coaching and meal planning. How have you maintained your weight loss goals through the holiday season? What strategies do you use as outlets when feeling overwhelmed during the holidays? “Either you run the day or the day runs you” is the quote that comes to mind when thinking of the asset or liability we have in father time. Do you find yourself wasting time on menial tasks? Do you find yourself constantly busy with little to no productivity? Are you mismanaging time throughout the day- scurrying from checking email to scrolling through social media, to answering the phone and barely making it on time for appointments? If you answered yes to any of these questions, no need to panic (or try to squeeze in another task) most of us struggle with overbooking our schedules; which can result in the infamous “I could get so much done if only there were more hours in the day.” What if you could manipulate your schedule to create an extra 2 hours in your day? The purpose of creating an extra 2 hours in your work day is not to create more room to squeeze in more tasks. This extra 2 hours we are creating is comparable to clearing space in a cluttered room so we can see the floor. If our days our cluttered, more than likely our minds are cluttered. The following tips will allow you to work smarter in order to allow time for rest, people and leisure. Complete the most important task first: Each day identify at least 3 tasks that you must complete. Complete the most difficult or the most dreadful task first. Completing at least one of these tasks at the beginning of the day will put you ahead of schedule. One mind, one task: This may be the most difficult tip for those of us with “Type A personalities” to comprehend. We live in a fast paced society and oftentimes work calls for “uni-tasking.” If you are taking a business call, focus on that call. If you are sending out an email, focus on completing and sending just that email. If you are organizing files, focus on organizing files. When we attempt to do a little of each task simultaneously, something else will come up, none of the tasks get complete and we find ourselves….OUT OF TIME. If you must, limit distractions (go to a quiet place, put your phone out in another room, refrain from the internet) in order to focus on one task. Learn to Say No: Some of us are good at juggling multiple commitments and not feeling overwhelmed. Others struggle with saying no to opportunities that will create more clutter and chaos in their lives. When we cannot say no to these things, we are saying yes to issues such as disorganization, stress, anxiety and marital problems. Take the time to understand who you are, what you can handle and the reason you struggle with saying no. Get an early start: “The early bird catches the worm” still rings true. The snooze button is not your friend if you are looking for ways to use time as your ally. Getting that extra 15 minutes of sleep usually turns into an extra 30 minutes of sleep. I challenge you to wake up 30 minutes earlier instead of using the 30 minutes to snooze. I know…so much easier said than done, but think of how much more time you will have throughout the day just by getting that early start. Rest: Getting an early start also means getting ample rest. I can relate to wanting to squeeze in more work late at night and it may feel like you cannot sleep until that blog gets completed, that chapter is written, that business plan is submitted and so on-the list of tasks continues. Since we completed the most important tasks for the day; make a list of important tasks for the next day and go to bed. How effective can you be if you are exhausted? Remember you need your rest because we are not snoozing in the morning! Our lives can be so full of excess. When we can identify the excess and remove it, we create space for what is important and what deserves our time. For more strategies with time management contact Sharise Hemby-Nance, LSW @ vitaminchealing@gmail.com.